This wallpaper was made for the 'Show Some Heart' Wallpaper Contest at AnimePaper.net. Well, image is Usagi and Mamoru, lovely couple. Ah! This is such a sweet and wonderful wall! I've never seen this scan walled before and you did such a great job, LunaT! And it totally fits the contest! GREAT JOB! But cute wallpaper. You have a really good job! One of the best sailor moon wallpapers I've ever seen! nice job. it's a cute wallpaper. 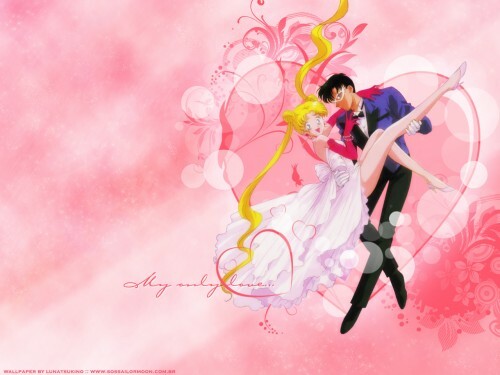 it shows how playful usagi and mamoru were. puts me right in the mood for valentine's day. wow, i may never look at pink again. :) wonderful work though. thankyou.